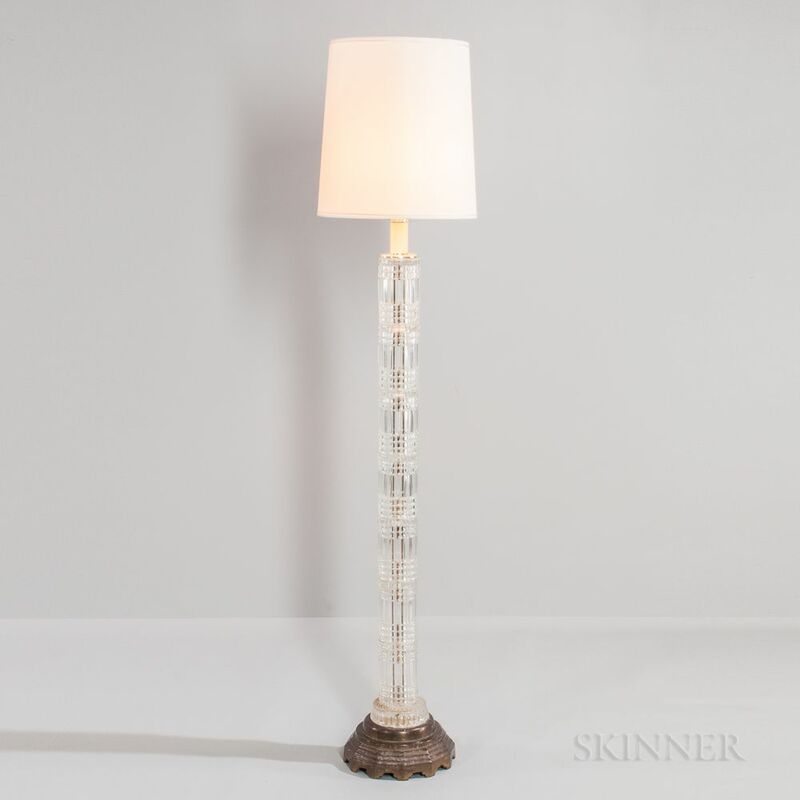 Art Deco Cut Glass and Brass Floor Lamp, first half 20th century, ht. 65 1/4 in. Later shade. Some discoloration to brass base.